Tiny, bow hair-eating bugs really exist and they can wreak costly harm to violin, viola and cello bows. Save yourself aggravation and money by following these preventive steps. You’ll know them by their “work” – the evidence of a bow hair bug infestation is when bow hairs on violins unaccountably break. This can happen to the hairs of viola and cello bows as well. It’s not that these types of bugs (there are between 500 and 700 separate species worldwide) are music haters. They simply prefer to eat dry organic material, from plants and animals, which includes skin, animal hair, feathers, and natural fibers. That includes horsehair, the material used in most bows of string instruments (lower quality bows use nylon or other synthetic material). Unfortunately, their food source on instrument bows isn’t limited to bow hair. The same bug has been known to damage the frogs on fine bows by consuming both tortoiseshell and ivory. They can also eat whalebone wraps on the bow grip. You will naturally turn to your local violin shop for advice if this happens. Unless you know how to string horsehair yourself, you have little choice but to have a skilled craftsman do that for you. But that’s addressing a symptom, not the problem – and it will happen again if you don’t find the little bugs and banish them to as far away from your bow as possible. The facts are that these dermestidae find violin cases a perfect home. It’s a dark place most of the time and evidently the horsehairs provide them with a delicious meal. If your violin “lives” most of its life in a human-occupied home, it’s almost inevitable they will find their way into your violin case (our homes are host to thousands of species and billions, possibly trillions, of bugs and other microorganisms, many of which are beneficial). 1. Breathing and sunshine exposure – Air and light, sunshine in particular, are what the bow bugs fear most. So open up the case, remove the bow and violin and allow each a few days of exposure. 2. Vacuum your case – The bugs leave their larvae (offspring) in nooks and crannies that might escape the air and light. But a good nozzle vacuuming will remove most if not all of them. 3. Repair/replace your bow – If your bow is already suffering from bow bug damage, it will be necessary to replace the bow hair. Your violin shop will or should be able to recognize when a repair or replacement is due to bow bugs. 4. Replace the case? – Particularly if it’s an old case that hasn’t been opened in a while, it might be a good idea to start over (while having the bow repaired) with a new case. But be forewarned, there are always bow bugs looking for new places to inhabit. 5. Store the bow outside the case? 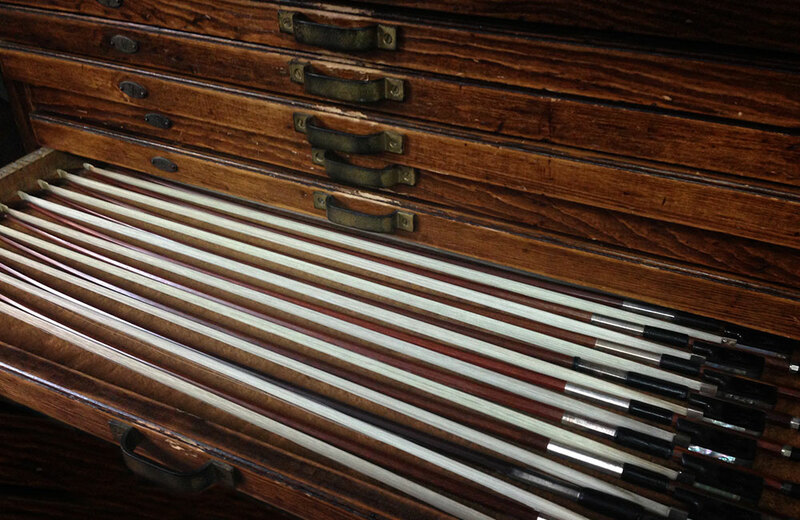 – In a situation of uncertainty about bow bugs living in your case, it might make sense to store the bow in a light, airy location until you can resolve what’s happening inside the case. 6. Kill them with sweet scents (not pesticides) – Essential oils such as rosemary oil, cedar oil, or cedar wood and cake of camphor, can be placed inside the case to repel bow bugs. Mothballs are believed to be harmful to human health, and pesticides might hurt the instrument. Perhaps one additional piece of advice is simply to play long and often. Making music with your stringed instrument brings more light and air to the instrument overall. The fiddler on the roof knew what he was doing! 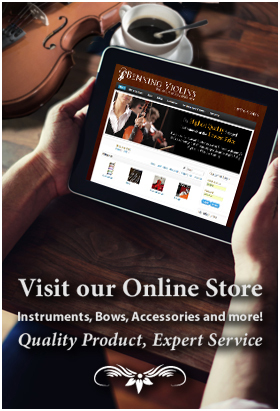 Thank you for your interest in Benning Violins. If you have a question or concern, we would love to hear from you. Please visit our shop or contact us using any of the methods below.